Stereotypes of IT departments are that they are introverted and “nerdy” and not fond of tooting their own horns, they’re so focused on just doing what they need to do. Most stereotypes originate because of at least a grain of truth. If you’re not delivering effective internal communication between the IT department and the rest of the organization you have more than just an image problem – you have a trust issue and are not as valued as you should be. Good internal communications not only paints your department in a favorable light, it can help to raise awareness of the work that you do (and don’t do) which can boost productivity for everyone and build or improve relationships with other teams. Determining if you have internal communication weaknesses and committing to overcoming and improving them is critical for the reputation of the IT department in your organization. There’s no point blindly going forward. You can’t fix or improve something if you don’t know exactly what you need to fix. A good starting point is to survey your organization and get feedback on the IT department’s communication. Ask your employees if they think you communicate clearly, if you communicate in a timely/regular enough manner, if you communicate to them using channels that they want to hear from you on, and if other things like the tone of communications are right. With this feedback on board and analyzed you should take stock of what you are currently doing and what you are doing right – and what you are doing wrong. 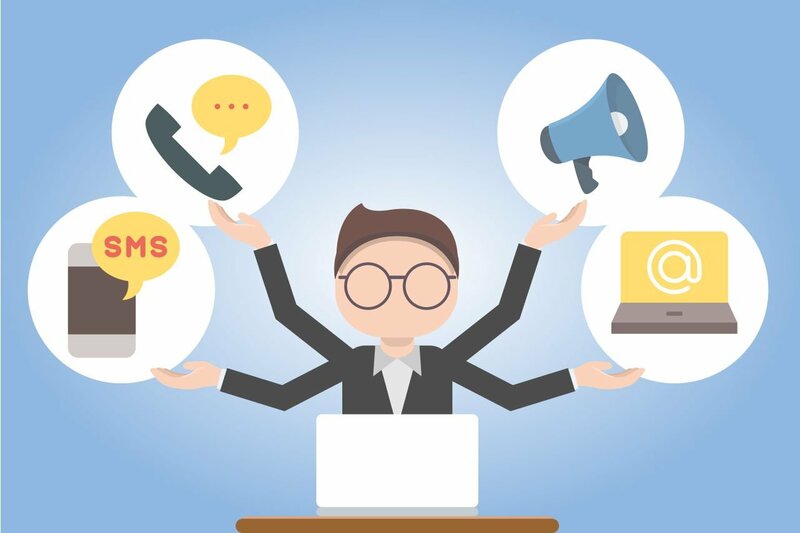 It’s time to create an internal communications plan for the IT department that will ensure you communicate effectively with the rest of the organization. Every organization is different and has its own unique needs so you can’t just rely on a cookie cutter pro-forma template off the internet for this and hope that you can throw it at your organization to make your problems go away. Internet templates are great as a guide, however, and you can adapt them to suit the specific needs of your organization, particularly focusing on any internal communication issues that have been raised in your fact-finding. An internal communications plan should be a living document that you can review and adapt from time to time, as needed. It’s a roadmap that staff in the IT department can follow and details how and when they need to communicate to the rest of the organization. Your intended audience(s). For the IT department there could be several audiences such as the entire organization, management only, the executive team, specific work or project teams, specific geographic offices etc. What it is you would like to say to these teams – you should have key messages that you wish to communicate with your audience(s). The tools that you will use to deliver your communications. Who is responsible for the internal communication delivery? When will communication happen? Will it be regular or as needed or a combination of both? Are the tools you’re using the right ones for the job? Take a look at the ways you are currently communicating with your organization and be brutally honest: is it what people want? Is it serving its intended purpose? Are you dumping information on an intranet site that nobody ever reads or doesn’t know where to find new information? Are you sending too many emails? Is the information too technical and full of jargon? Are your videos too long and boring? Or are you not even communicating at all? Self-help portals and easy-to-find FAQs with the most common IT problems/questions relevant to your organization somewhere on your company intranet site. Good, reliable ticketing systems on the helpdesk where all interactions and responses are recorded for each job so a client doesn’t have to repeat themselves and your help desk staff don’t give conflicting pieces of advice. Also having prewritten/automated responses for the sake of consistency and clarity. Use all technologies available such as sending an SMS to employees who work offsite. Video content is king, but don’t overdo it. Nobody will sit through long, boring videos. Short, informative pieces of content is key. Consider investing in an innovative internal communication software system such as DeskAlerts. 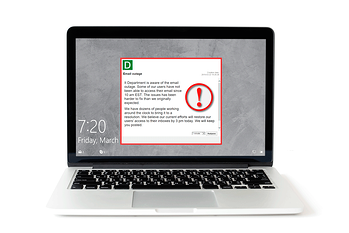 DeskAlerts can be used to send pop-up notifications to employees’ desktop screens in a disruptive way, bypassing the email system. It’s a great way to get your message across and there are many add-on features such as scrolling ticker tape, corporate screensaver, corporate wallpaper, apps for smartphones and SMS messages that can further enhance your internal communication efforts. When you start rolling out your new internal communications plan, you can’t afford to just rest on your laurels. It can take a bit of trial and error and some fine-tuning to get the mix right. Your initial fact-finding into the current state of your internal communications in your organization should form a baseline that you can benchmark against. The original questioning that you sent to your employees to gauge their feelings about your IT department’s internal communications can be sent again at later intervals so that you can compare results to determine if there has been an improvement, or, unfortunately, a regression. With ongoing feedback and data you can strive to continuously improbe your internal communications.